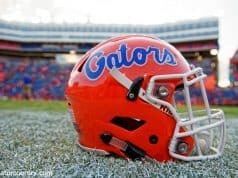 On Saturday, several prospects from the state of Georgia made the trek down to Gainesville to watch the Florida Gators go through spring practice. 2021 tight end Cane Berrong (6-4, 220, Hartwell, GA. Hart County) was one of those guys on campus and he got to do a lot of things on campus. Berrong paid close attention to the tight end position on Saturday during practice and he liked the intensity of practice. Tight ends coach Larry Scott talked at length with Berrong after practice and explained why the Gators need the tight end. Head coach Dan Mullen also had a message for Berrong on Saturday about the tight end position. 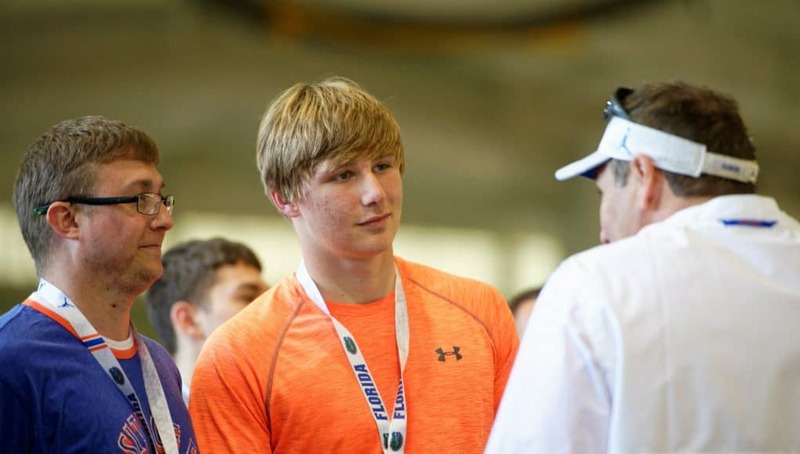 While watching practice, Berrong talked with current Florida tight end Lucas Krull who explained what it’s like to play for Scott. 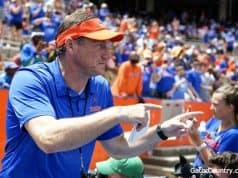 Berrong who has over a dozen offers already says he likes the Gators and has a connection to one of Florida’s staff members. 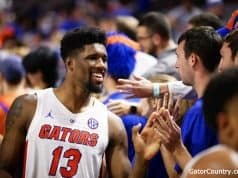 The Gators aren’t the only team recruiting Berrong hard as many other top programs are after the 2021 tight end.